It’s September, which means we at Murray’s are celebrating Italian cheese month! Long time cheese connoisseurs and cheese newbies alike can agree that Italian cheeses, and their accompaniments, never disappoint. 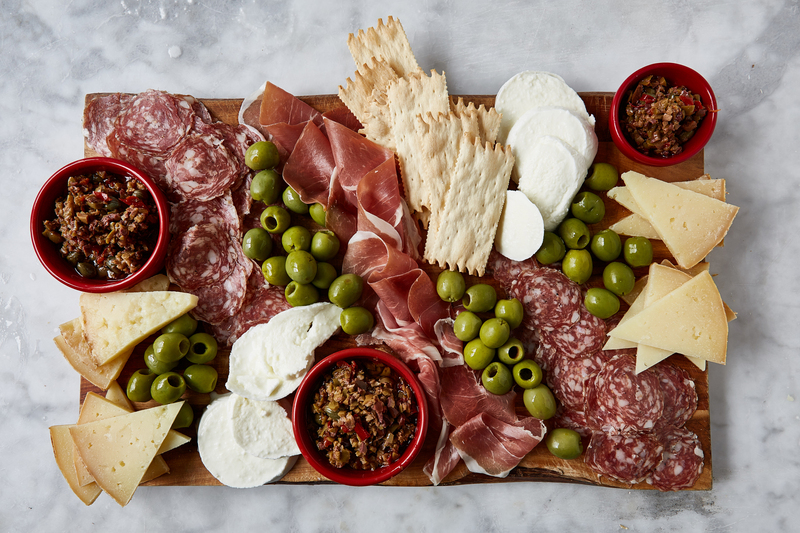 Whether you’re throwing an intimate event, or visiting your huge extended family – an Italian cheeseboard is a must, and a crowd pleaser for all. There’s nothing “cheesy” about serving up some classics, with some added extras to challenge those taste buds. You know Parmigiano Reggiano. You love Parmigiano Reggiano. You love its nutty flavor and salty, yet sweet finish. You love how consistent it is. You know it’s going to have an intense taste, that’s not too much or too little, due to its precise 24 month aging period. You love that it works well with anything, you would date it if you could. It is a perfect starting point on your Italian cheese board. Another Italian classic. Could you picture an Italian cheese array, without the accompaniment of the supreme, Mozzarella? I didn’t think so. That’s why it’s here. This cheese is made locally in upstate NY, bringing its fresh, high quality milk from happy cows, to you. Enjoy it’s thick, pillowy texture with other Italian must-haves, such as tomatoes, Extra Virgin Olive Oil, and your favorite carb, from fresh bread to delicious crackers. A perfect addition to many cheeses, but specifically, an Italian spread. Dating back to its origination in Parma, Italy, this delicious ham has been honored for decades. With a little salt, a bit of air, and a lot of time, 20 months to be exact, and this meat is ready to be enjoyed. 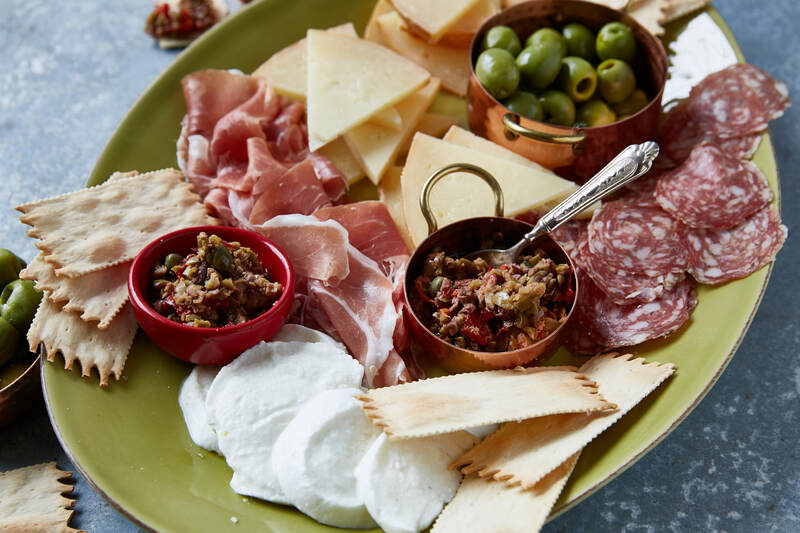 Delight your taste buds with the combination of Prosciutto di Parma and any of the above cheeses for a flavor trip, taking you straight to European heaven. Not only do these Sicilian olives look beautiful, both plump and rich in color, they taste great too. The Castelvetrano olives have a meaty, buttery, and soft exterior with a mild salt flavor. These are great with any fatty pork product (like Prosciutto or Salami), and crucial to many a cheese plate- or alone. Even a committed olive-hater could get on board with these bites of paradise. Crunchy, flavorful, and nutritious – these crackers are a home run in our book. Rustic Bakery is known to create savory, high-quality crackers that are intended to pair seamlessly with fine cheese. These crackers are baked by hand, right outside San Fransisco’s bay area, filled with organic grains and seeds, high in fiber and other nourishing ingredients. The olive oil and rosemary will compliment any Italian cheese, or meat, making it instrumental to this platter. Want another cheese to add to your board? We love this sheep’s milk cheese from Calabria. A little unexpected, a lot delicious. Bite into the wedge to unleash the robust, meaty flavor of the cheese, distinctly saline as it spreads across the palate. The cheese is highly snackable, and we like it especially well paired with the Castelvetrano Olives. As a child growing up in Italy, Cristiano Creminelli spent some time hunting wild boar. Today, thanks to Creminelli, it’s brought to you in a wonderful half boar, half pork salami. Typically, you may see a wonderful Sopressata or a Genoa Salami paired alongside theses Italian classics however, the wild boar adds a succulent texture and something a bit different to spice up your plate. Décor: Olive Spread, Figs, and Greens, oh my! And now, for the finishing touches. To truly “fill in the gaps” between our main events, it’s important to add in some other key elements of flavor. We like to add some Olive Bruschetta in a small bowl to our board. 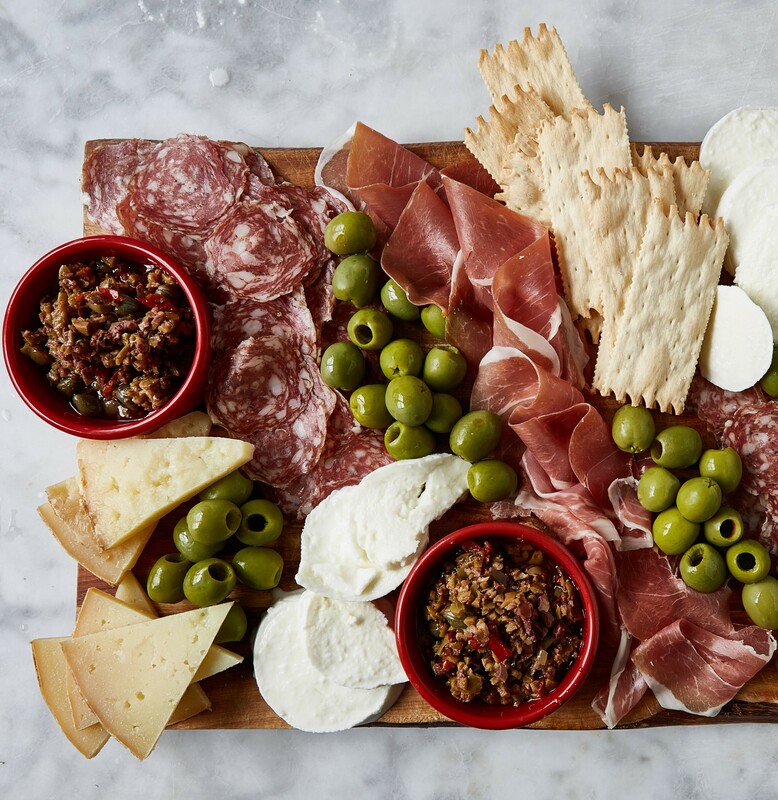 Sweet, savory, and briny, this combo of olives, sweet peppers, capers, and more is a perfect match for some of the fattier elements of the antipasti board. As for figs, if you have a fig tree in your backyard, we’re jealous, and you should use those fresh beauties. For those of us not as lucky, try the Spanish Pajarero Figs, which are slightly dried but still retain a most, juicy interior. These sweet, vitamin filled fruits are great with tangy cheeses, such as the Pecorino Calabrese, and would be a great addition to your cheese plate. Lastly, greens. Between basil, parsley, oregano, thyme, any of these can be added to literally spice up, and fill up some more space on your beautiful cheese plate. Try some basil with your Mozzarella, some oregano with your Parmigiano Reggiano, maybe some parsley with your Parmigiano Reggiano. All of these will bring out natural flavors, and knock your plate, out of the park.